I am hosting the Hands-On Carnival this time around. One good thing about having a smaller carnival is that you can read every entry to find something that will inspire you in your homeschooling. I added a few of our recent hands-on learning experiences at the end of the carnival…some from this blog and some from my other blog. Enjoy! Shirley Ann shares her carnival entry Seeing Stars *** posted at Heart of Wisdom Homeschool. Check out their lovely suncatcher stars. Shirley Ann also writes about their puppet production. Read All The Worlds A Stage… posted at Heart of Wisdom Homeschool and learn more about it. Have a reluctant or emerging writer? You will be interested in Jessica’s Story Cubes posted at factorydirectcraft.com. Jennifer presents Homemade Books from Brown Paper Bags posted at Teaching My Baby To Read. This is a great, inexpensive way to grab some interest in reading and have some creative fun at the same time. Maureen shares their Tot Time–Strawberry Fun posted at Homeschool Mo . So much strawberry-ness going on at their house! Nikki has written Making Maths Moments. posted at Our Journey in Him. What a great hands-on math or living math unit using the calendar. Karyn presents Story Starter Blocks posted at Teach Beside Me. Another great idea for using craft cubes. 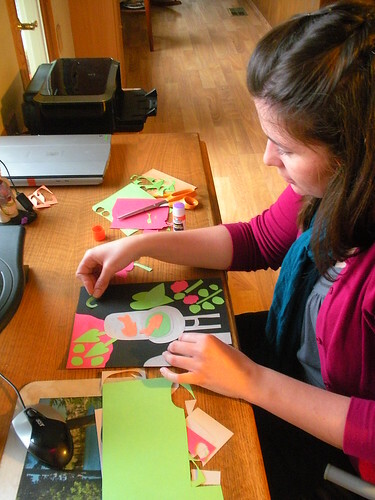 My daughter Amanda creates a Matisse collage using paper and glue. This is an easy and fun project for all ages. To learn more about Matisse, you can click HERE. My contribution to the carnival is our Handicrafts-Appropriate and Essential to High School? where I share our leathercraft activities and how handicrafts have benefited my high school age sons. 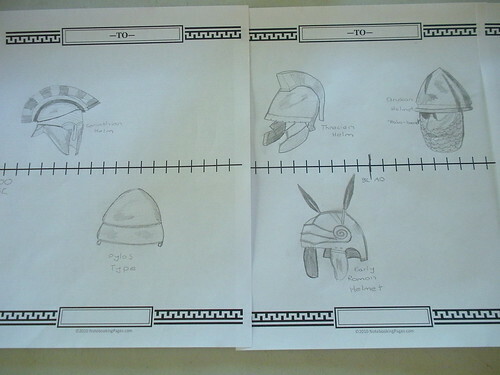 We have had a great time making timelines over the years and I gathered a lot of different ideas into one post. This one is featured in my entry Book of Centuries Notebook Pages. 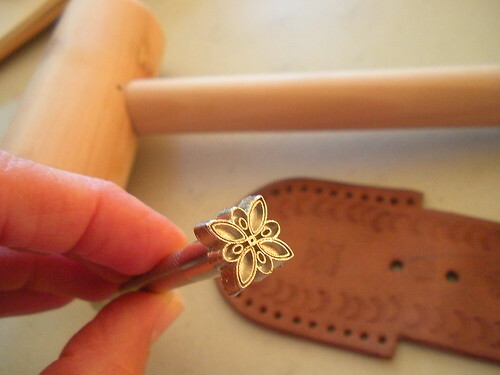 How about one of Mom’s hands-on projects? I have been busy learning how to use my new watercolors. 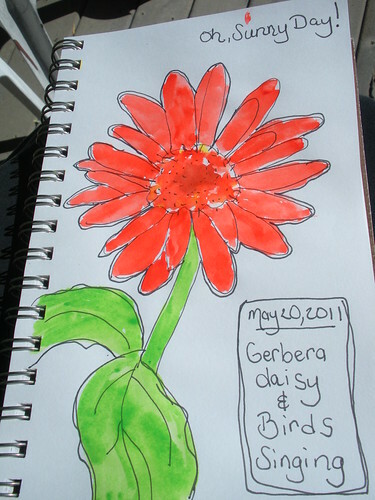 Here is one of my entries from my nature journal: Watercolor Quick Sketch. Moms need some hands-on fun too! That concludes this edition. Submit your blog article to the next edition of Hands On Homeschool Blog Carnival using the carnival submission form. Past posts and future hosts can be found on the blog carnival index page. Hi Barbara, thanks for using my post in the Hands on Homeschooling carnival-please could you tell me where to find the button for the carnival to put onto my blog?